All Star Music: What Is Happening? After fielding what seems like hundreds of questions about the music changes, I decided to write a blog-style article that covers more angles to help everyone understand the changes to come. I know you all hate reading, but there’s no way to entirely explain this in a meme. I wrote very casually to keep the conversation less dry, and contains some of my generalizations and opinions. We’re not dealing with the All Star industry, we’re dealing with Copyright Law. These changes are not nearly as scary as people think, and it must happen. This industry is just late out of the starting gate. The first point that must be acknowledged is that this industry (including the music producers, the gyms and the event companies) has rarely ever licensed music properly. The past reasons for infringement are moot; the changes are great because the industry just side-stepped the biggest music infringement lawsuit ever, in my opinion. Cross your fingers that nobody sues again for the past year’s infringement. Who Are You To Speak About This? This article isn’t about me, but it is important to know that I didn’t just hear about this music change and have a knee-jerk reaction; I have been preparing for it for years because our industry has been in the wrong and the problem should be corrected for everyone’s legal safety. I’m Carmine Silano, I run a 14-employee business called CheerSounds. Our company services over 12,000 cheerleading teams each year. For the sake of this article, the only background information that applies is that I studied Music Industry while cheering in college. Since 2012, 100% of my work has been to fix this problem. You’ve already heard the solution, you just don’t know it; you’ve been listening to it at competitions since 2012! Long story short, the industry as a whole has been violating copyright law. EPs, music producers, camps, gym owners, cocahes and athletes have all ignored the warnings they received and perpetuated their behavior for nearly 25 years. The issue “became real” in 2012 when several Cease and Desists were sent out to music producers from the RIAA due to a tip-off that is speculated to be from a cheer music producer that was losing market share. A lawyer from EMI cleverly pitted several music producers against each other to learn more about the industry. I ended up on several phone calls with RIAA, EMI, Sony and Universal Music to learn the full extent of what was going to happen. At that time, I pivoted CheerSounds to start making Covers and Original music. I spoke at the 2014 USASF regional meetings on the topic as well, and made many of the other mixers aware in what is now the nearly-defunct Cheer Music Mixers Association. Producers didn’t want to look at the reality of Copyright Law, EPs ignored everything I said, and coaches said “we’ve been doing this for years, it’s fine”. What Triggered This Sudden Change? In my opinion, distribution through video triggered this, even though video is not the cause of the problem. The RIAA or a major label tagged one of the EPs. One big clue is when all the music was yanked off of the EP’s VOD services. Inside sources tell me the EP fought the accusation for nearly a year before accepting they messed up. Putting music to video requires synchronization rights, and the EPs aren’t going to have the time to obtain all of those rights. Covers do not release the EPs from Sync or Mechanical rights, but it does make Master rights practical. Mechanical rights are easy, sync rights are more involved. Master rights are seemingly impossible to license derivatives from large labels, but if we create a cover, we have the master rights to that recording and can grant license to others in a minute. If they want to enjoy profitable services such as Video On Demand, Streaming Video or DVDs that feature the music that was performed, the video production company needs written consent from each artist for sync rights, as well as master rights to the original recording (but a cheer mix from before this change is an unlicensed derivative so you can’t obtain it anyway). The distributing company needs to also pre-purchase copies of the mechanical rights to each track for each copy they expect to sell. I’ve been in this industry long enough to know this will never happen because the logistics are too complicated. I hope this statement doesn’t trigger a landslide in how events are run, but if EPs didn’t incorporate the performance audio in the video (or distribute music), then nobody has to worry about sync licensing or distribution, or master rights [circumstantial] as long as the songs can be publicly performed. Public Performance licenses still apply with covers (royalties to the original writers, not the cover artists) but that license is simple. Buying a song from Amazon or iTunes or a CD does not give you any right other than to listen to the music. You don’t own it, and you definitely can’t make copies of it, or give away copies of remixes of it, or even play it for a crowd without license. These are all commercial uses and require additional licenses. Please note that Money does NOT need to change hands in order to commit copyright infringement!! In one sentence, the solution is Follow The Law. We’re not dealing with the All Star industry, we’re dealing with Copyright Law. All the industry is doing is catching up to fix mistakes. If distributing copies of the music, the EPs need to pre-purchase additional licenses for each copy of the music they plan to give to the athletes. If recording, the EPs need master & mechanical license to distribute recordings of the music, and also need synchronization rights if they are sync’ing the recorded audio with the video. The latter license requires permission from the song’s writers. Music Producers need to either create their own original content, license someone’s covers, create & license their own covers, or license someone else’s material as well as obtain the rights required by the team and EPs. These can be created as custom mixes, premade mixes, or build-your-own music. The key is that the content is licensed. There are still licensing steps for each which will be discussed later. Other triggers to this are from ASCAP’s recent discovery of the Cheer Gym, a whole new source of legitimate revenue. This is really a secondary event, though. ASCAP has nothing to do with the distribution of recorded music! ASCAP: What Is It And Why Should I Pay? ASCAP is one of several Performing Rights Organizations (PROs). When artists release songs, they relinquish their public performance right (allowing others to play their music), and a performing rights society such as ASCAP is selected to collect royalties from where the music is publicly played. Bottom Line: If you play songs that you don’t own in your gym , then you need to pay a performing rights society. You should have been for years, and you’re lucky you haven’t been fined. Don’t try to lie and say “we only play the radio”. You use music to enhance your business, and you owe royalties. It’s a yearly fee; last I checked it was $150 a year for 75 athletes or less, and $250 a year for 150 athletes. It’s a cost of doing business, and it’s your legal obligation. Event holders: if you use music at your event, you will realistically need an ASCAP and BMI license to cover the majority of popular music (yes, even for covers). The public performance license is the responsibility of the Event Organizer or the Venue, not both. But ASCAP has NOTHING to do with the largest changes that were recently announced. Those changes are primarly to be compliant with Distribution requirements, not Public Performance requirements. Although ASCAP has performance paperwork, it does not cover everything required for an EP to record, sync with video or distribute any copy of said recording. ASCAP Isn’t The Only One! In the previous section, I alluded to there being multiple PROs. Most artists we use in Cheer are registered with ASCAP, but there are still popular radio artists that are registered with BMI. If you are playing any music by an artist under a PRO that you do not have a license from, you are infringing on copyrights. So, Get BOTH an ASCAP and BMI License! So All Star Music Will Sound Like Camp Music? It really doesn’t have to. Camp music is notoriously bad because they are karaoke-style covers that were intended for use in bars, spin class, children’s toys and other non-serious functions. They don’t sound anything like what the All Star community is used to. However, we’ve been making “SoundAlike” covers for years, where we cover a song so accurately that most customers can’t tell the difference. Thousands of teams have performed with these and nobody is the wiser. It’s odd to me that some of the camps have been doing their camp music correctly for decades, but then they abandoned the copyright protocol when they started competitions & recorded events! In the past two years, though, all of the camps we work with have shifted to the proper protocol. The change is just starting to propagate into other parts of the industry. Do I Have To Give Up Radio Songs? In a nutshell, the “cover” part isn’t the important part. The question “Who owns the recording?” is the important part. When WE make a cover, WE own the recording, and WE can grant Master rights for someone else to use the recording. When <record label> makes a recording, they own the recording and they are unwilling to license to our industry (for several good reasons, honestly). So, its being proposed to bypass their recordings and use recordings from companies like us, who can grant the license to use our recording, while paying Mechanical royalties to the original song writers. How Does It Affect Coaches/Gyms? I know most coaches think they have done nothing wrong but I would bet almost anything they are giving copies of the music to the athletes, or putting it on their website, or playing music in the gym without the proper PRO licenses. All of those are copyright infringement examples with the way 99% cheer music currently is. The coaches that are affected most are the coaches that used to download a few songs off of iTunes and edit them together. Forget about that, it’s not compliant. You’ll have to buy music from someone who is either granting license to use it however you & your EP need. Most music producers will raise their prices because they’ll have to abruptly obtain more resources and spend more time creating products. Some companies have always made original content; their prices will remain the same unless they are just riding the bandwagon of screwing the gym owners some more. As previously mentioned, Gyms should already be paying their ASCAP licenses. Long story short, you’ll want to go to a company or person that can prove they are using licensed work or they are creating their own works. If they give you an iTunes or Amazon receipt, they aren’t playing by the rules. How Does It Affect Music Producers? The music you use in your mixes will have to either be your own original composition where you grant the appropriate rights to the team and/or EP, or it will have to be covers (or other artist’s works) that you create or license from others. If you are editing music from iTunes or Amazon or Google Play, you’re doing it wrong. Some will consider becoming their own record label, which will require significant investments of labor and money for creating original music and/or covers but will make your a viable resource. Failure to comply ends up poorly. There have been lawsuits but I don’t want to throw anyone under the bus. You could also talk with music houses that have libraries of covers or originals to license out; set up an arrangement to get blanket licenses that allow you to make and sell derivatives of their works. 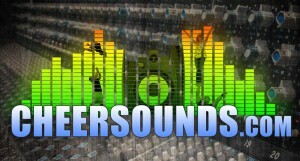 CheerSounds is considering opening its libraries up to other producers but a decision has not been made yet. How Does It Affect EPs? You still have to pay public performance royalties just like the gyms do, but if you want to Film your events and include the music (or if they want to record or distribute the music), more licenses are required from the music producers. When the event is being broadcast, Cue sheets are also required to be submitted to the performing rights societies. To make this easier, EPs may desire music that can be licensed easily, i.e. “Producer X owns this and already gave us permission sync all of his tracks to video”. That’s much simpler than “we need to contact britney, christina, iggy, and everyone else for this one mix, and the other 500 mixes at the event today”…yeah right. If the EP is only playing the music live, and no recording is happening, then not much is different than before. Pay the public performance fees. What Is Contemporary/Lyrical Dance Going To Do? Although their music doesn’t sound like cheer music, the same laws and rules apply. Unique covers and original music can still be used as long as the required licenses are obtained. I plan on starting a contemporary dance music store featuring classical, orchestral & jazz covers as well as original works in the future. The only problem is that EPs want to film the events but they aren’t going to secure licenses for it…so I’m hesitant. What About Hip Hop Dance? As far as copyright law is concerned, it’s no different than any other music; all the same rules and laws mentioned previously still apply. In my opinion, it’s a great opportunity for Hip Hop dance to start migrating towards more unique content. We have mixes to be released mid-June. It is all original, so the EPs will love it. The $150,000 fine they are talking about is the maximum penalty for statutory damages, usually with intent to infringe upon copyrights. The fine is most likely going to be issued to those that distribute copies of unlicensed music (copies to athletes, video on demand, streaming, CDs given out to teams, etc). It can affect anyone that doesn’t follow the law. What Will Definitely Get Me Sued? Although copyright law seems complex, there are some very black-and-white instances where you lose, guaranteed. Distributing copies of music without license for the master recordings and the mechanical licenses. This is true for EPs, camps, gyms, athletes. Synchronizing music with video (e.g. if your video has music) without sync license (a type of mechanical license) and master licenses. Ignoring ASCAP or BMI letters to your gym when you undoubtedly use their artist’s music. Selling/distributing derivative works of someone else’s recordings without permission. Technically, anyone. You just have to either make your own content and grant the appropriate licenses to the EPs, or purchase license to use someone else’s content. If you don’t have a written license to use it, you don’t have a license and you can’t use it! But In Reality, Who Will Make The Music? For custom music, I only know of 5 individuals or companies that can currently pull this off appropriately (where teams will like their music). It wouldn’t be ethical for me to list them, but I think all of the individual producers, coach-producers, and athlete-producers are going to be cut out of creating their own mixes without the help of an outside service. The real question is How Many mixes can each producer/company complete in a timely fashion? To my understanding, they all do between 100 and 300 mixes per season, with the exception of CheerSounds doing significantly more, but even we are fearful of the flood of 20,000 custom mixes. Remember, it’s not just All Star, it will be UCA/UDA/NCA/NDA which includes high school. The Licensed Premade and Licensed Do-It-Yourself market will increase tremendously, though. This includes online stores that use original & cover content, as well as do-it-yourself tools like 8CountMixer. It’s more affordable, it’s instant, and it can be infinitely scaled. How Do I Buy Music These Days? It really depends on where you are bringing the music, but for simplicity I will answer this question with the assumption that you compete at the major events. Buy music from a company or producer that knows how to register his/her works, that has licenses for the covers and recordings they use, and has the ability to grant you the rights you need to use this at major events. Ask them about their licensing practices, if they are compliant copyright law and with the EP’s licensing requirements. CheerSounds is ready to go; other producers are adjusting and should be ready for the upcoming season. I am told there will be an “approved vendors list” that will be released by a major EP in the near future. I am not sure of the vetting process, but I trust every major producer will be checked out before making it onto the list. You will most likely not be able to pick any song you want. Each company will offer a library of covers they already have, and you can choose them for your mix. You can also ask them to make original content, such as voice overs or songs made specifically for your team. Honestly, when done right, it sounds no different than what you heard at the last event you attended. I Heard LegitMix Solves The Problem Though? LegitMix has a very specific purpose that does not encompass all of the uses our industry requires. LegitMix is based on Personal Use of music, but our industry is a Commercial Use of music. For example, LegitMix does not provide any sort of license for synchronization with video, nor does it give any person the license to redistribute the files purchased on LegitMix. I reached out to LegitMix in 2013 and made the founder aware of our industry. We used LegitMix for three months and then stopped using the service. Although we thought LegitMix was a good solution for us at first, we quickly realized it didn’t solve all of the legal hurdles we faced and was not the right choice. After we left, LegitMix pulled together all of the cheer music people who don’t know how to license music properly, and presented its loophole service (for all intents and purposes) as an legitimate industry solution, which is very misleading. That’s my opinion. The only beef I have with LegitMix is that the company’s blog falsely claims that covers do not pay artists, but licensed covers pay mechanical royalties for every copy distributed, as well as public performance royalties. I am dumbfounded as to why they do not consider the writers of the music and lyrics as artists. I’m not against LegitMix, I just know it doesn’t and cannot grant the rights the EPs need. Let’s Get Technical. What Are The Licenses? Master Recording License – The license to use a recording that someone else made. Mechanical License – The license that is paid every time a copy of the song is made, whether the original recording or a cover. Synchronization License – The license that allows the licensee to synchronize the audio with visual media. Performance License – The license to allow music to be performed for an audience at an event, club, business, restaurant, etc. Blanket License – A flat annual fee that grants a set of rights for a set of songs for a set of specific uses. Can’t We Get A Blanket License For The Recordings Like Other Industries? No, because we’re creating derivatives and the 4 major labels we spoke with have no intention of entering the incredibly-complex legal warzone of “blanket derivatives”. To my understanding, an agreement between all involved parties (copyright owners of the recordings, lyrics, music) would never, ever be reached. Sure, I’ll try my best to answer it! 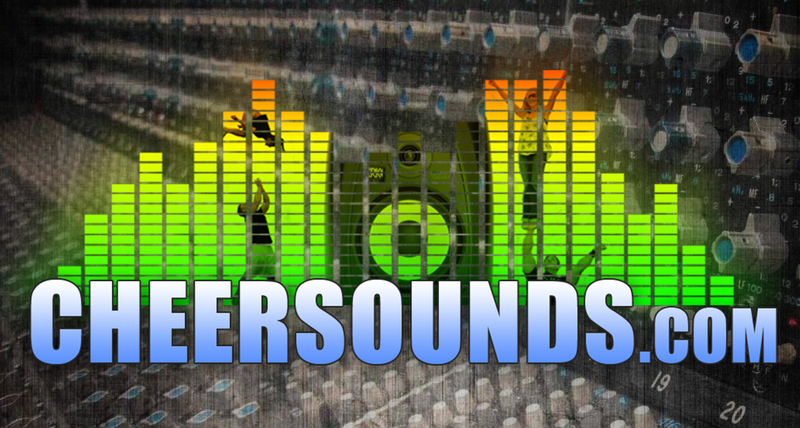 Please send an email to info@cheersounds.com and put “Licensing Question” in the subject for our filtering purposes. Win a Visit from RACHEL PLATTEN to YOUR GYM! Meet Emerson: Three Year Old Cheer Prodigy!